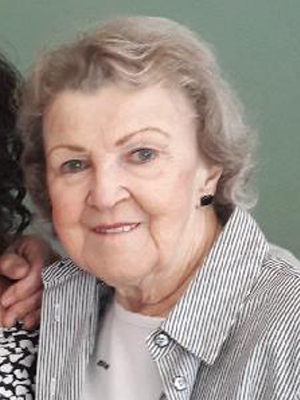 Carol Kolstad, age 80, of Sun City, Arizona, formerly of Prior Lake, passed away peacefully to be with the Lord on January 17, 2019. A funeral service will be held at 11AM on Sat., Feb. 9, 2019 with visitation starting at 9:30AM, all at Ballard-Sunder Funeral Home, Prior Lake. She will be laid to rest at Fort Snelling National Cemetery. On March 23, 1938, in Corcoran, MN, parents Joseph and Josephine Berthiaume celebrated the birth of their daughter, Carol Jane. She was the fourth of five children. Carol was raised in North Minneapolis where she attended school. In 1955, she graduated from North High. While waitressing at Matt’s Bar in Minneapolis, Carol met Russel Kolstead. They immediately hit it off! On November 7, 1982, the couple decided to make things official. They traveled to Las Vegas where they were married. Carol was an amazing caregiver—not only to her family, but to others as well. When the family moved to Prior Lake, Carol opened her daycare. She adored the children, even watching some of the weekends. Along with Russell, they provided children’s respite care for the state. Carol gave so many children the stability and love that they needed. Later in life, when Carol no longer ran a day care, she worked at Mystic Lake Casino. Along with Russell and their daughter, Robin, the family enjoyed traveling. Every summer they road tripped out west to visit Yellowstone, Glacier and Banff. They also went hunting and fishing together as a family. In their later years, Carol and Russell began wintering in Arizona. While staying in Arizona, Carol began working with stained glass. With the birth of her granddaughters, Carol delighted in her growing family. She spoiled the girls endlessly. They enjoyed taking trips together, camping, and simply spending time with each other. She especially loved having the family together for Christmas. Carol was the definition of a “Mama Bear”—you could criticize her, but never her grandchildren! When her health began to decline, Russell became Carol’s caretaker. After suffering from COPD and congestive heart failure, Carol passed away with Russel and Robin by her side. For every scenario in life, Carol could find song lyrics to fit the occasion. She knew every song on the radio. Carol was selfless, generous, and always happy. She loved being around others and having a good laugh. Survived by her husband, Russell; daughter, Robin (John) Galles; grandchildren, Samantha (Brandon) Laurencot, Emma Galles, Maggie Galles, Hannah Galles; sister, Jennuar Bednarski; brother-in-law, Wally Roles; sister-in-law, Carol Berthiaume. Carol is preceded in death by parents, siblings, Cecelia Roles, Lawrence (Joan) Berthiaume, Jerry Berthiaume; brother-in-law, Jack Bednarski. I remember Carol way back in the early 70’s when she was a waitress at Matt’s bar. I was good friends with her daughter robin and still are the thing i will always remember the most about carol was her kindness towards not just me but to everybody she encountered.she always had a genuine smile for everyone she met.you could feel the loving glow from her spirit it was infectious and she passed it down to her loving family. I could write all day long on what kind of remarkable person she was but in short she lived a blessed life may God bless Carol and give strength to her loving family in these trying times. So sorry to hear about Grandma Carol. She took great care if my kids and was a wonderful grandma to them. She will be greatly missed. I am so sorry to hear about Carol’s passing. She was such an amazing lady! I enjoyed her bright personality every time I saw her! Everyone that knew her was lucky. God for sure gained an angel. We will never forget Grandma Carol! So sorry for your loss. Carol took care of my two boys Christopher and Justin (Ray, Ray, Ray!) when she did daycare. I have great memories of her. Prayers for comfort for all of you at this time. I am so very sorry for your loss Russ, Robin,John and girls. Jane loved all of you so much! She didn’t miss an opportunity to share about her granddaughters. She will always be Aunt Jane to me. Jane was kind, thoughtful and FUN! I loved her laugh and her great sense of humor. She could always make me laugh. I remember going to Matt’s as a kid long before Juicy Lucy’s were the “in” burger to have. Jane always made the best with a huge serving of french fries. Jane also made the best vegetable beef soup with the best dumplings. I don’t know of anyone else that puts dumplings in vegetable soup but Jane did.